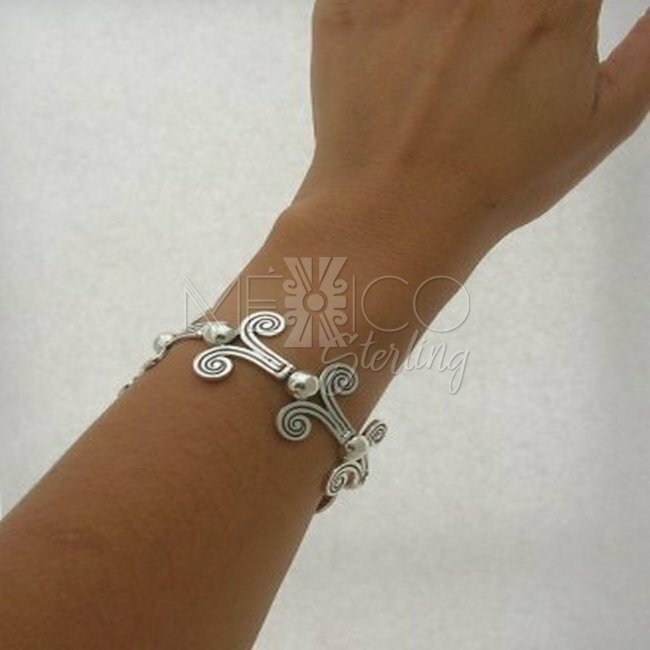 Mexican Silver Bracelet Margot de Taxco Mini [BRCM151] - $160.00 : Mexico Sterling Silver Jewelry, Proundly from Mexico to the world. Dimensions: W: 1 1/8" Inside Circumference : 7"
Sr. Melesio Rodriguez Villalba handcrafted this beautiful piece of jewelry. 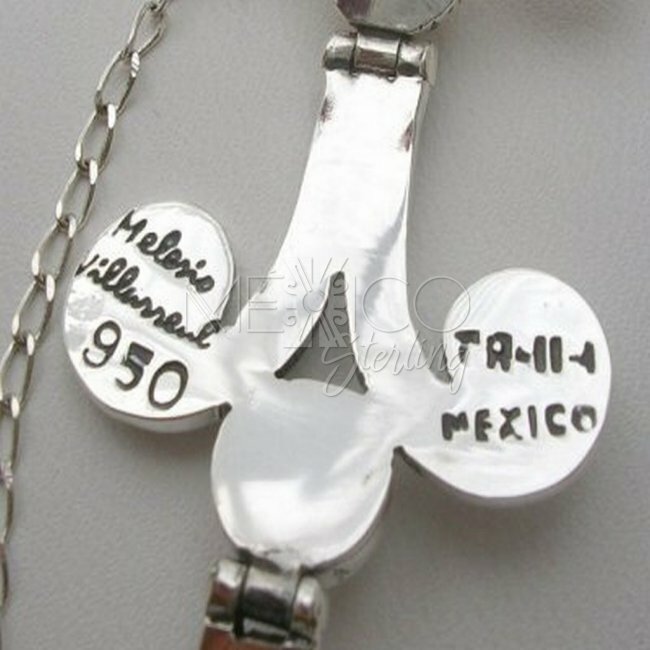 This is a Margot de Taxco design, Sr. Melesio worked at Margot's workshop for more than 20 years. 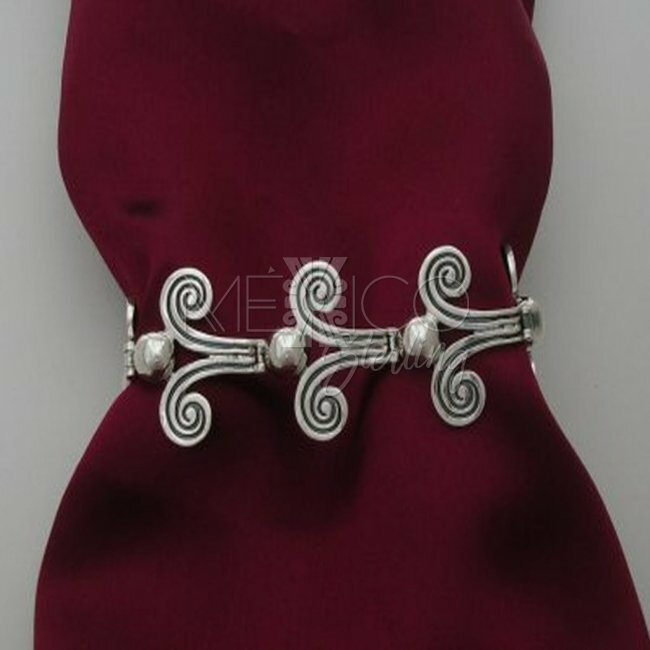 he's one of the original silversmiths that were taught and produced so many of Margot's designs. He is 80 years old, but that doesn't stop him, he's still producing these wonderful pieces, Some of the vintage pieces from the 1940's or 60's still sold online, were made by this silversmith a long time ago. He uses the same techniques and the same molds used at that time. 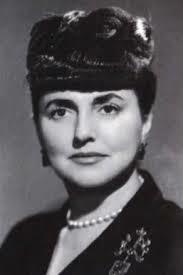 Please feel free to contact me for further information on sr. Villalba or his grandson, and their place in the overall picture of vintage Taxco jewelry. Beautiful piece of? jewelry, handcrafted like all of my jewelry, with impeccable craftsmanship and beautifully finished. This is a new version of? the well known Margot's design. It carries the same design and features but smaller in size and weight, a more affordable version from the original. But that doesn't diminish its beauty and great artistry. 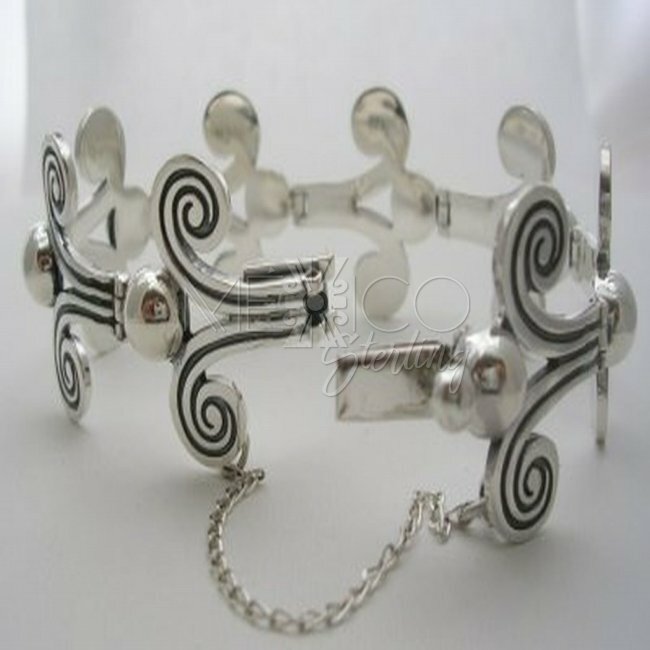 The design on this piece is a perfect example of what Margot de Taxco represents in the Mexican silver jewelry history. 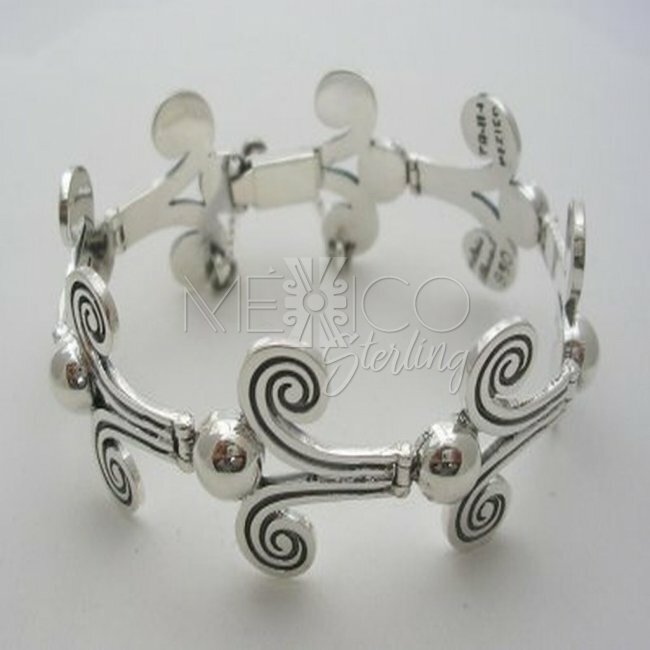 She always shows Her great interest in ancient cultures' elements and nature in general, this silver bracelet has the best of these features. I would also like to comment on Melesio Villarreal, whose name is shown in the markings. He is Melesio's grandson, he's been working with his grandfather for years now and he's following the same steps by creating these amazing pieces and helping his grandfather to carry the tradition around for new generations and insuring the survival of this old Taxco art. 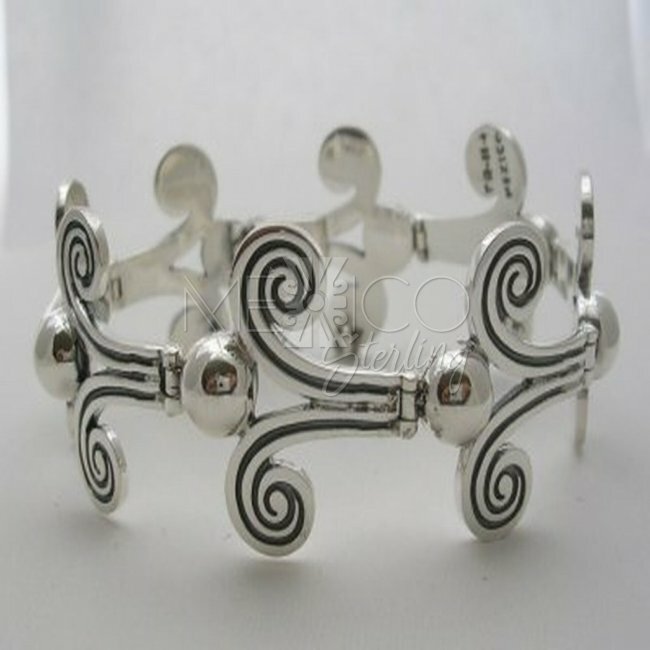 This is a Solid, sturdy silver bracelet with a total weight of 37.8 grams, (1.2 ounces). 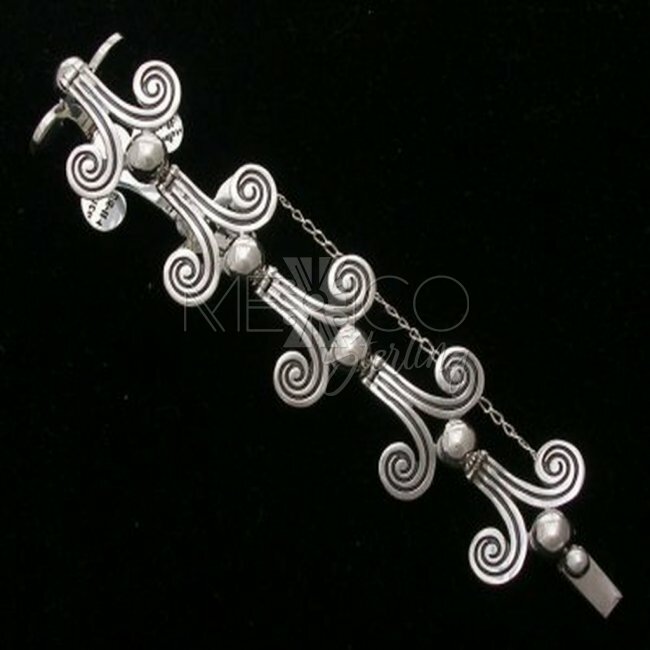 This piece is also made with a "950" sterling silver purity, better quality silver than the most common 925. If you need a larger inside circumference, please let us know. We can help.